Most of those affected attend Brentwood Special Needs School in Altrincham. 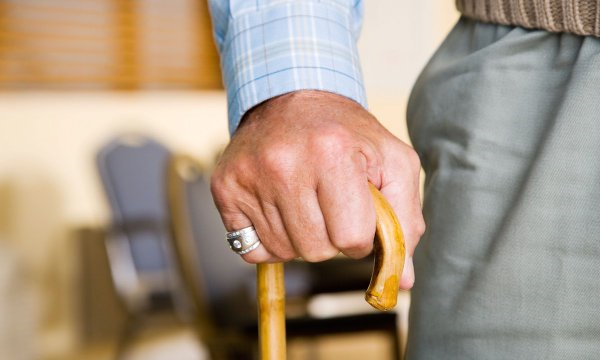 The policy, brought into force in May, means those aged over 16 and educated in Trafford aren’t automatically provided with transport. Some have now been left to find other ways of getting to school after town hall chiefs reviewed eligibility. Johnny Marr’s autistic niece Jodie is one of those who has lost out. The decision was due to be rubber-stamped on Tuesday, but town hall chiefs have cancelled the key executive meeting after discovering a legal challenge could soon be launched. What we do, actually matters. 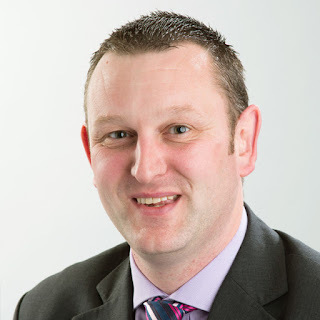 Lostock College have announced their new head-teacher starting from April. Lee Fazackerley is moving across from Wigan's Rosebridge Academy. Gorse Hill Labour wish Lee well and we look forward to working together. Lostock is a much valued school as we saw in campaign to keep it in its current form. We have recently secured funding from Greater Manchester Fire and Rescue Service to deliver “Bling Your Bin” events at key locations across the borough. Residents from surrounding street will be invited to bring their grey bin to the location below and have it cleaned using an environmentally friendly washing machine. 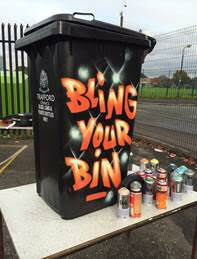 We will also have a graffiti artist on hand to spray a design of the residents choice onto the bin. Bins lost or stolen is a huge issue in Gorse Hill. This is a positive means of helping to address. Trafford council bosses had complained to UEFA over the proposed 6pm start of the Europa League tie. The second leg of Manchester United's European showdown with Liverpool has now been put back two hours after safety fears. Trafford Council has asked for the kick-off time of Manchester United's Europa League last-16 second leg against Liverpool at Old Trafford on Thursday, 17 March to be moved. The game is due to start at 18:00 GMT but the council has concerns about an early kick-off on St Patrick's Day and wants a 20:00 GMT start. Rush hour kick-offs are an imposition on hard working communities like Gorse Hill's trying to get on with their lives. For the football authorities to schedule a fixture with such a long tradition of rivalry as the Liverpool match to kick-off at 6pm is going to cause traffic chaos.